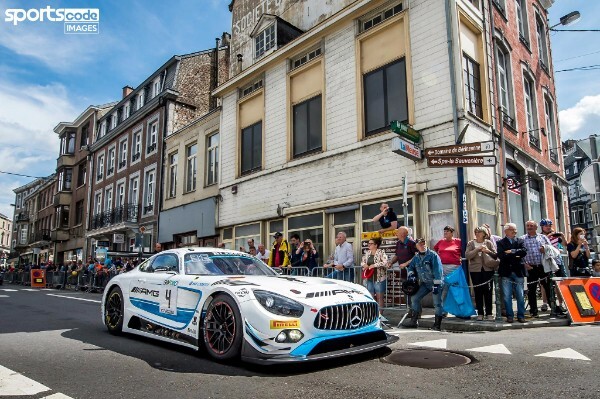 Adam Christodoulou banished the painful memories of his late DNF from the 2016 Total 24 Hours of Spa by taking a top 10 finish on his return to the Belgian endurance classic with Mercedes-AMG Team Black Falcon. 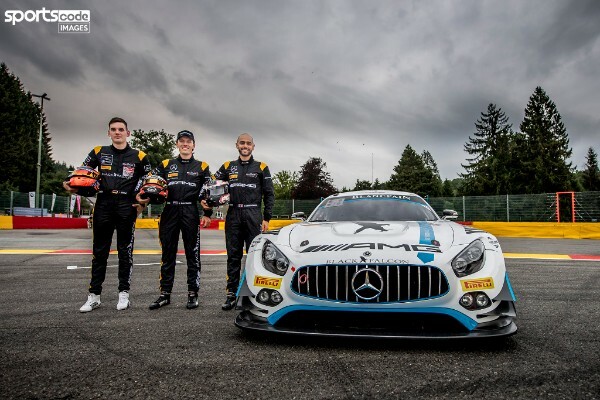 Joined by regular team-mates Yelmer Buurman and Luca Stolz for the pinnacle of the Blancpain GT Series Endurance Cup, the 2016 Nurburgring 24 Hour winner starred in the changeable conditions of the early morning to put the No. 4 Mercedes-AMG GT3 into podium contention, but eventually came home eighth after cutting a tyre on debris which forced the team into making an unscheduled stop. 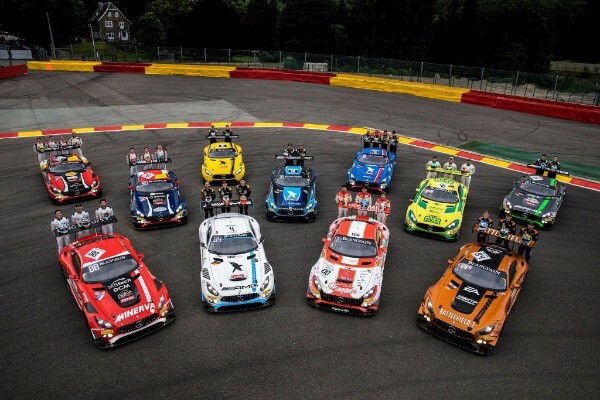 Nevertheless, 28-year-old Christodoulou was pleased to equal his best result in the world’s oldest endurance event, first held at Spa-Francorchamps in 1924, and register points in the world’s toughest GT3 series for just the second time this season. “After last year where we managed all but the final 26 minutes, to finish the 24 hours is an achievement in itself and to finish eighth is a great achievement as well,” saidChristodoulou. “It equals my highest finish in the 24 hours from 2013, but the championship has grown a lot since then and the competition is three or four times harder. Christodoulou focused on race setup in Qualifying on Thursday, but despite this only narrowly missed out on a place in the Superpole, as a record 36 cars were separated by less than a second. 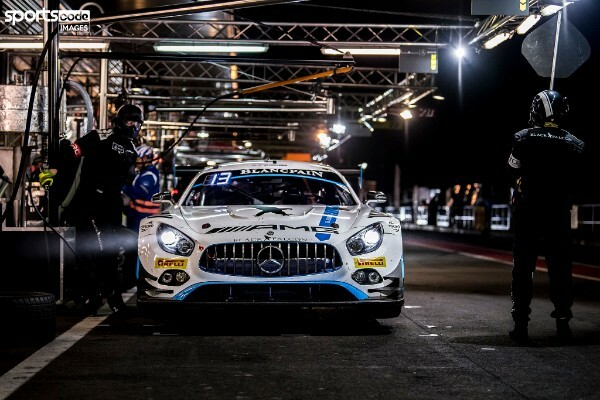 However, a productive warmup on Friday evening suggested the Mercedes-AMG GT3 would be a force to be reckoned with over the longer runs and meant he was high on confidence heading into the race. From 22nd on the grid, Buurmann had gained 11 places by the end of the first hour and handed over to Stolz on the fringes of the top ten. Stolz, who celebrated his 22nd birthday on Saturday, kept the team on the lead lap before Christodoulou climbed in for his first of four double stints approaching nightfall. 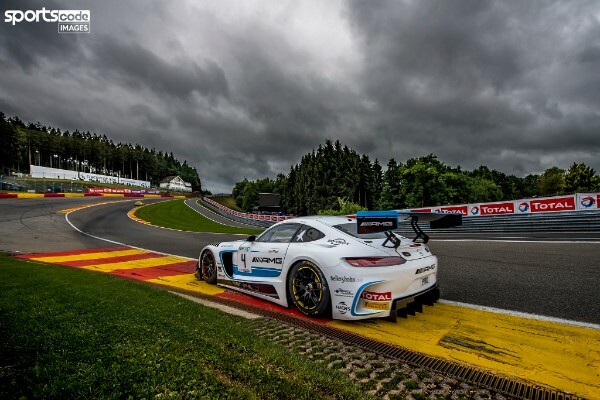 More consistent, mistake-free driving from his team-mates lifted the Mercedes-AMG to seventh by Christodoulou’s next stint in the early hours, which proved the most difficult of the entire race as the heavens opened in the Ardennes. The Briton was one of only three drivers who elected not to come in for wet tyres in the worsening conditions, but his instincts proved to be correct as the track soon dried, saving the team an extra pitstop and raising the possibility that a podium could be on the cards. “It was awesome fun to be out on slicks in the wet,” Christodoulou reflected. 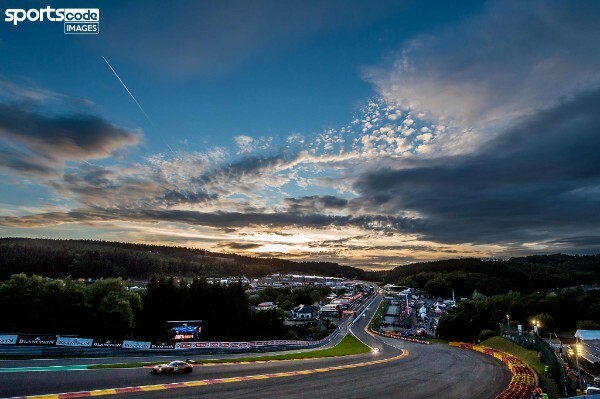 “I knew from previous experience that Spa is quite grippy when it does rain and it tends to dry quickly as well. In GT4 a few years ago I started a wet race on slicks and at the end of the half-hour race, we were the quickest car on track. Although the puncture had thwarted any hope of a podium by sunrise, Christodoulou was proud of Team Black Falcon’s effort and application at the finish, with one round of the Blancpain GT Series Endurance Cup remaining at Barcelona on October 1. “All the guys in Black Falcon and AMG did an awesome job, Yelmer and Luca were on fire all weekend and did a perfect performance,” he said. Christodoulou reserved special praise for the Pro-Am winning No. 16 Black Falcon Mercedes-AMG GT3 of Oliver Morley, Miguel Toril, Marvin Kirchhoefer and Maxi Goetz. “I’d also like to give a huge congratulate to Oliver, Miguel, Marvin and Maxi on their Pro-Am win, it’s a really special achievement,” he added. There’s no rest for Adam Christodoulou as this weekend is the next round of the British GT at Brands hatch 5th – 6th August.